A sketch from the café section, out on the pateo. 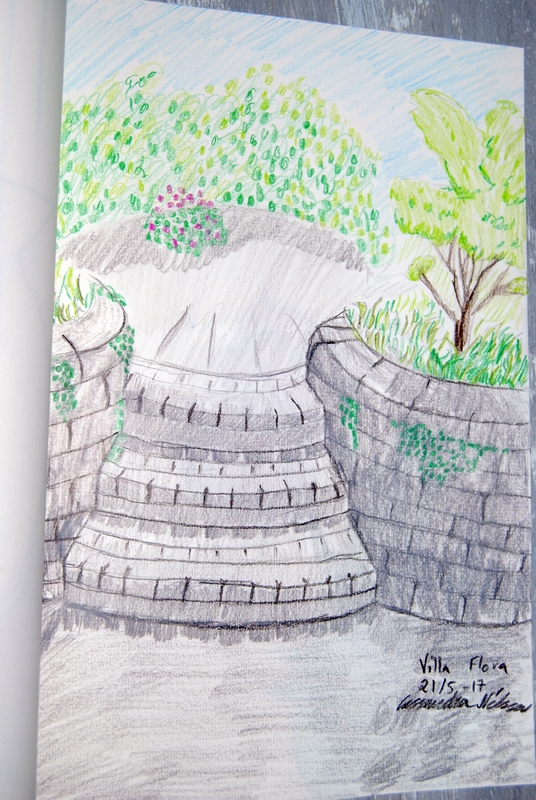 The perspective and the shadowing on the steps were interesting and challenging. I decided to keep it very simple and not aim for realism. 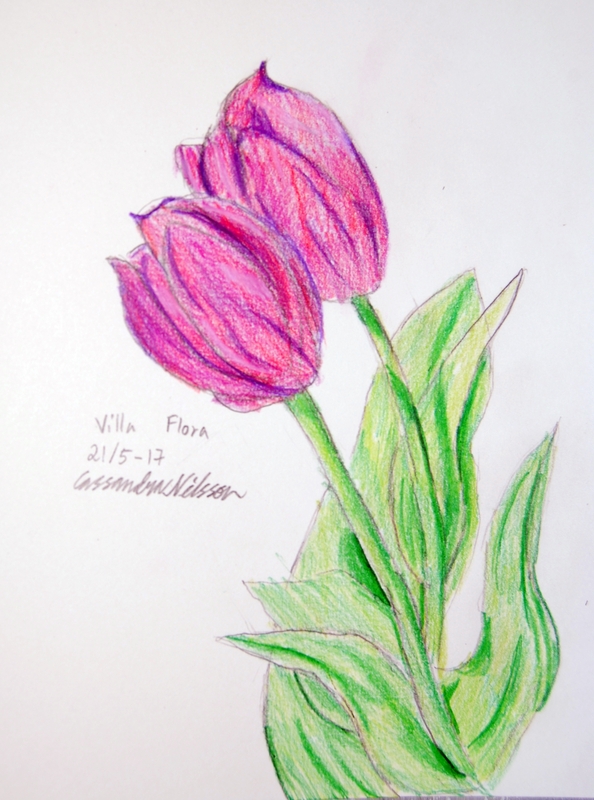 I also noticed some tulips that I wanted to sketch.